Know What's Really Going on at the Register. 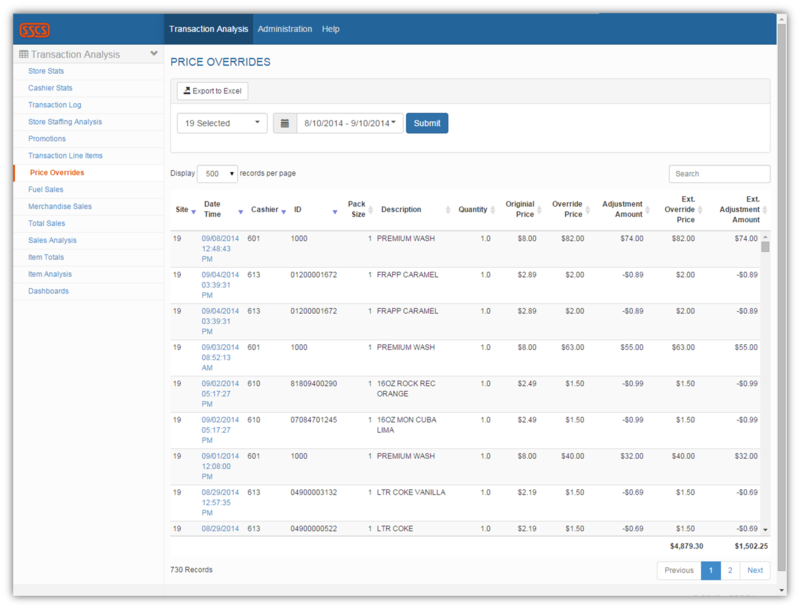 View sortable tables revealing which sites and cashiers have the most No Sales, Voids, Price Overrides, and Returns. Drill down to view individual receipts suitable for printing if you need to discuss transactions with a staff member. 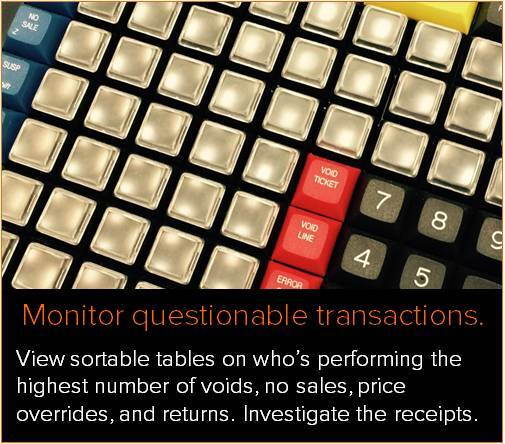 Look for questionable transactions over any time period to analyze historical behavior and its impact on profit margins. 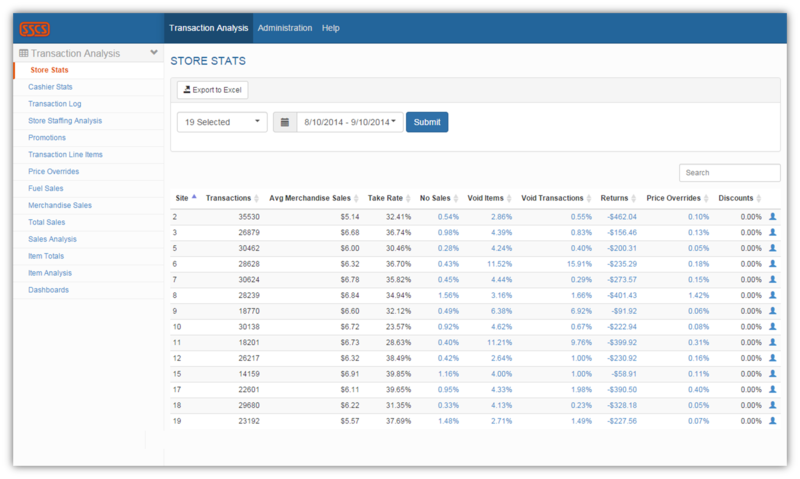 The Store Stats report, shown below, analyzes questionable transactions at 19 sites over a month long timeframe, allowing you to see which sites have the most transactions of these types, and which cashiers are responsible. The Price Overrides report, shown below, is a sortable table of all price overrides that have taken place across nineteen sites over a month long timeframe, allowing you to determine which overrides are legitimate, and which involve an unauthorized discount or promotions. Transaction Analysis' ability to pinpoint questionable transactions is a favorite feature of many users, often helping the application pay for itself after only a short period of use.